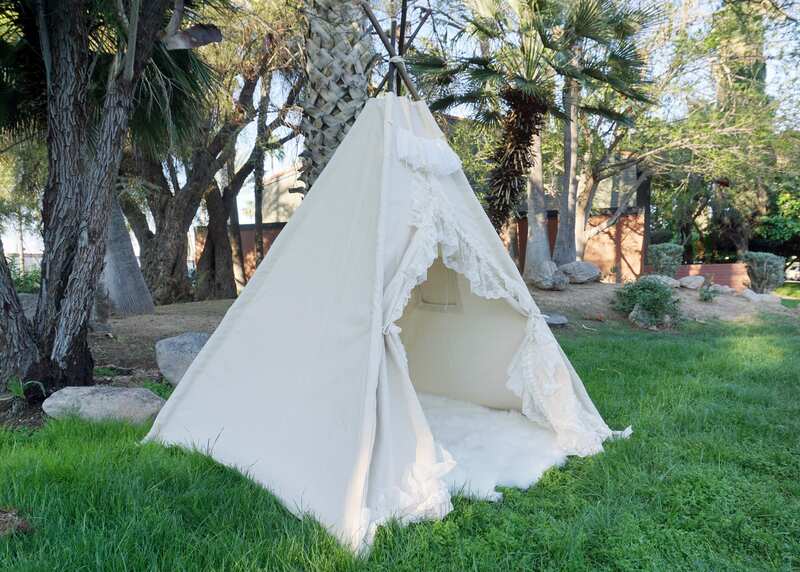 It will allow you to stake down the teepee using regular tent stake on grass, or attach weight on the ties on solid floor. FYI: USA and Canada orders will be shipped with bamboo poles. 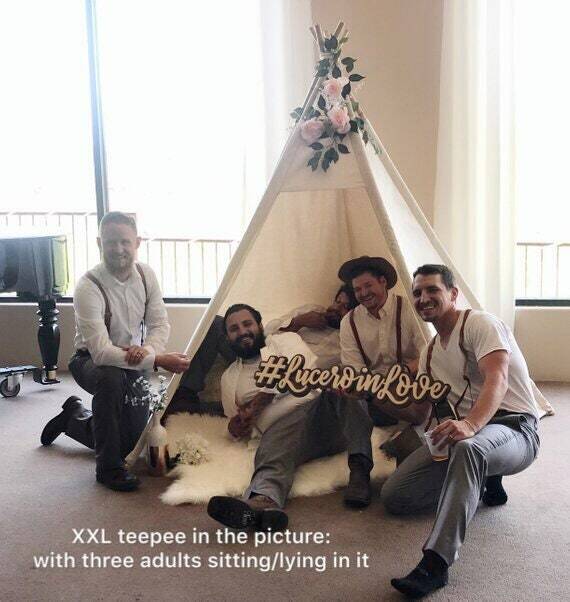 Bamboo's inherent stability means our XL teepees are MUCH MORE STABLE than others on the market because bamboo is 250% stronger than Maple(one of the hardest solid wood ) according to the test data from Forest Product Laboratory of the US Department of Agriculture. The poles are 8ft nature bamboo poles. 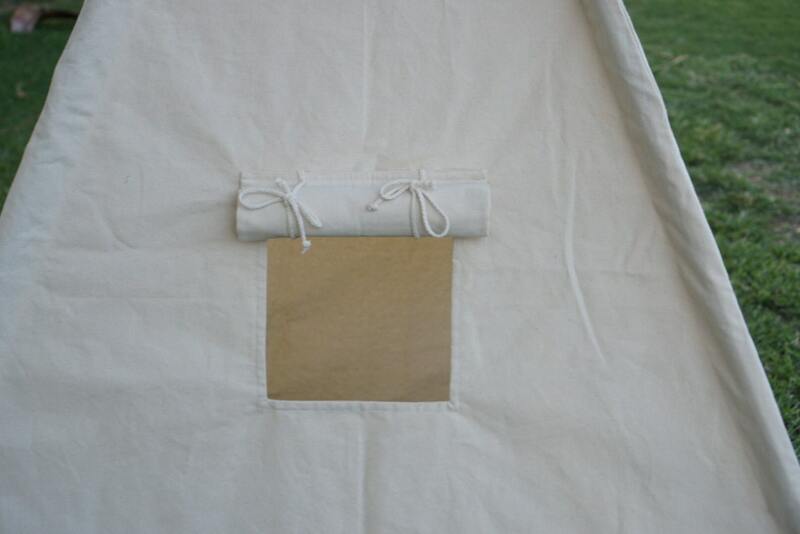 The base is pentagon shape with 54 inches per side. Can you make it even bigger? 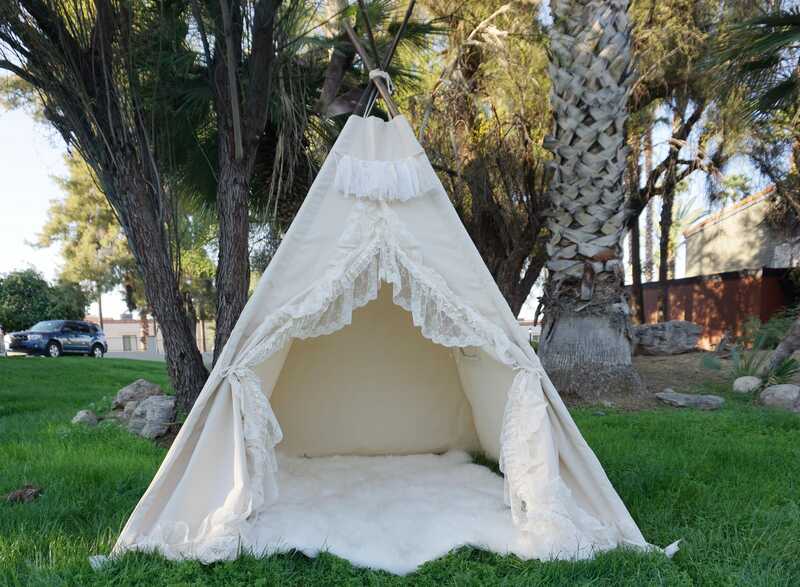 If you expand the teepee base without increasing the height of the teepee, teepee will turn out bigger, but shorter and fatter. 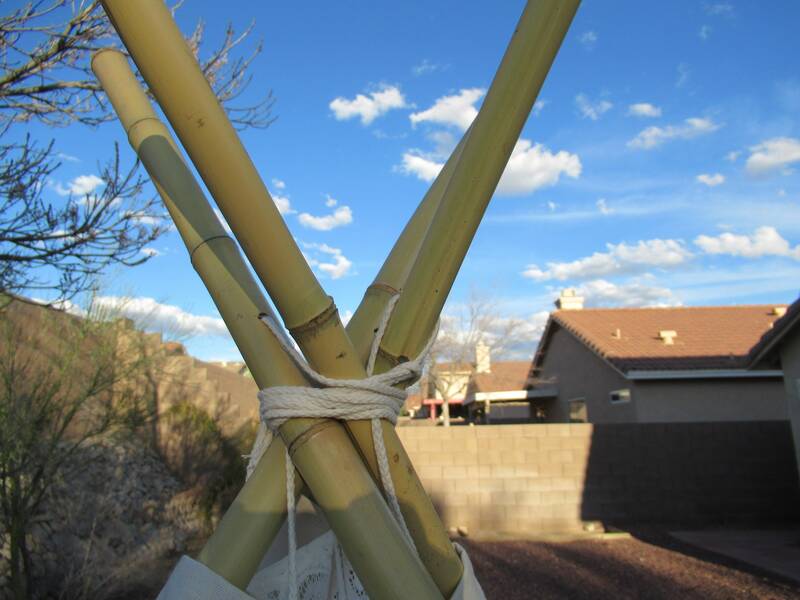 Why I use nature bamboo poles instead of solid wood poles? 1) Bamboo is stronger than solid wood, but yet lightweight. 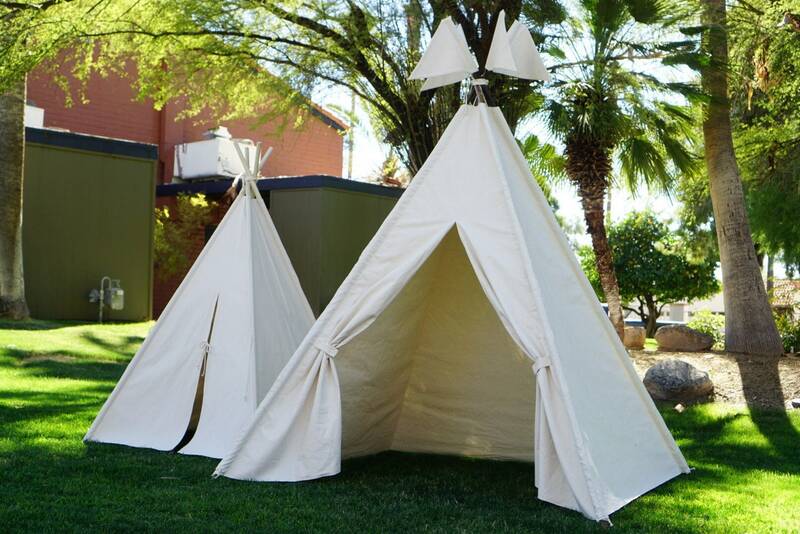 Introducing bamboo poles for the XL teepee will keep the large tent in a reasonable weight. 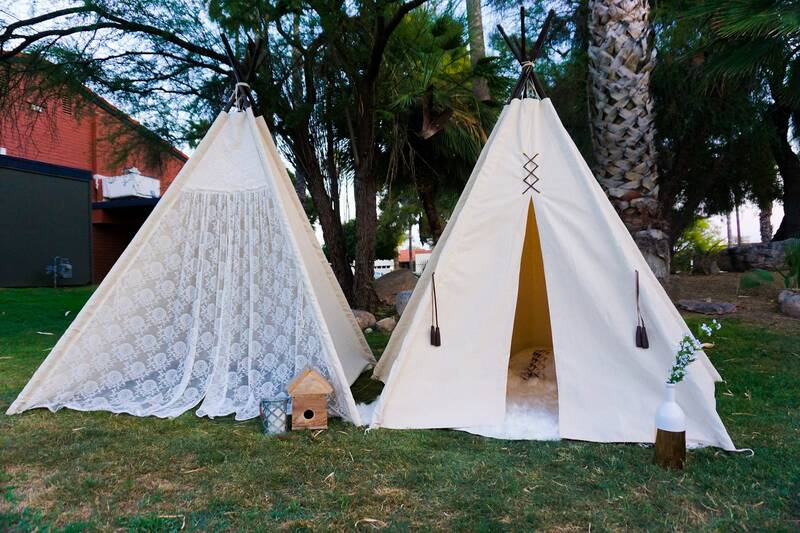 2) Bamboo poles are more friendly for outdoor use. (wood will get mod or crack when it is wet or humid). 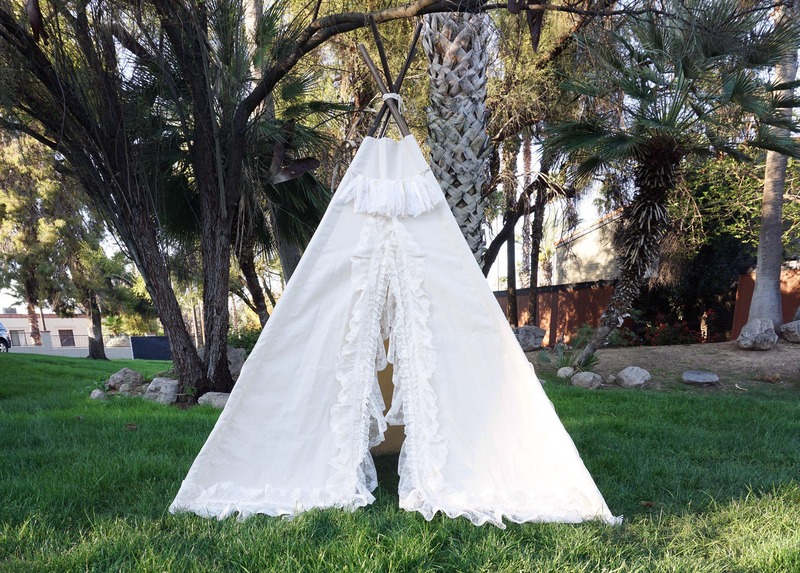 Can adult use the teepee?